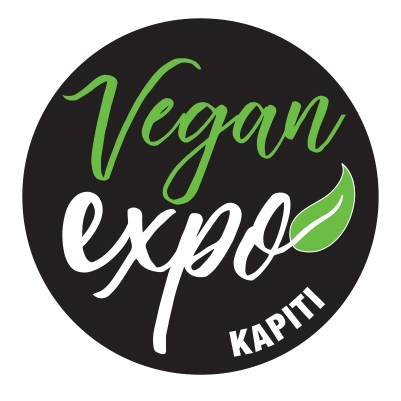 August 19th marks Kapiti’s first-ever Vegan Expo. Come celebrate and enjoy loads of delicious plant-based temptations, cruelty-free stores, inspiring speakers and mouth-watering cooking demonstrations. The Vegan Expo is the regions first-ever food and lifestyle expo that celebrates a plant-based lifestyle. Showcasing inspirational speakers, green living ideas and over 35 cruelty-free stores, visitors can enjoy trying an exciting range of vegan food such as raw cheesecakes, crispy fried faux chicken, mushroom grain burgers and more! Learn how to make delicious, innovative and healthy plant-based meals at the various cooking demonstrations and hear about an exciting new ingredient, Aquafaba, that offers revolutionary new ways to make delicious egg- and dairy-free creams, mayos and meringues! Veganism is rapidly on the rise in New Zealand so come find out why and learn of the environmental, health and animal welfare benefits from choosing this exciting and compassionate way of living. Kapiti’s inaugural Vegan Expo includes a variety of food trucks, cafés and other local eateries alongside cruelty-free businesses and ethical service providers. Included in the ticket price are loads of free tasters, cookery demonstrations, film screenings and motivational talks. We hope to see you there! Tickets $5 and $6 on the door.